The Snoreeze Oral Device is a mouthpiece that treats sleep apnoea and loud snoring. It works by holding your jaw in the right position to keep your airway open, providing effective relief from snoring and sleep apnoea. 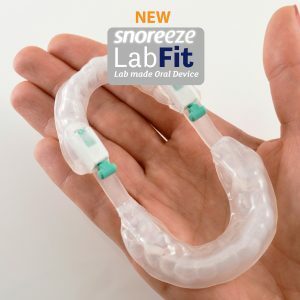 The Snoreeze Oral Device is a boil-and-bite mouth guard for snoring and sleep apnoea. The fully adjustable design holds your jaw in the right position while you sleep. This opens your airway and helps you breathe easily and quietly. 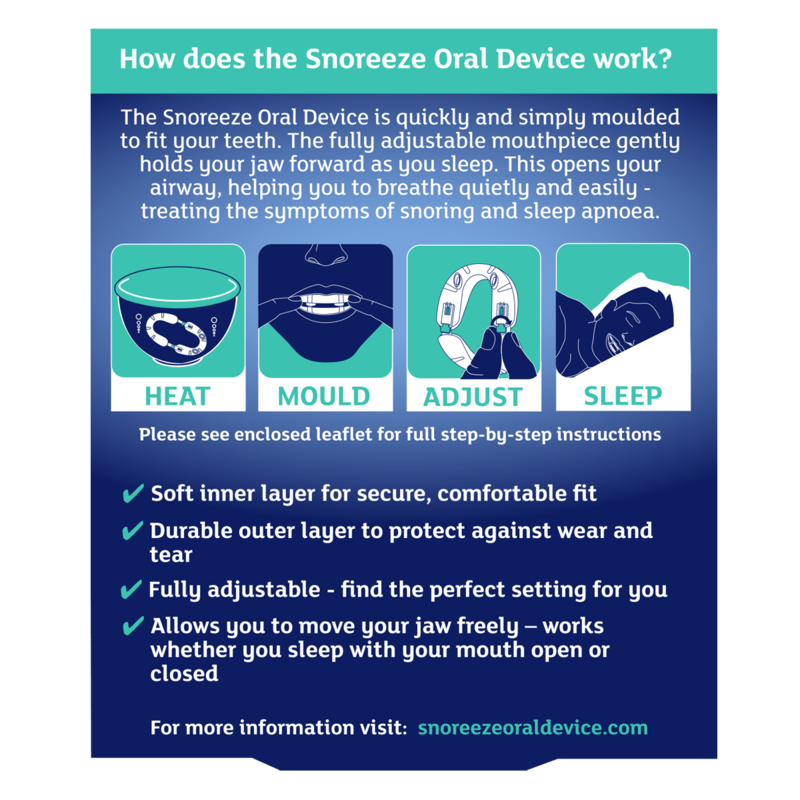 The Snoreeze Oral Device moulds to fit around your teeth, helping you take control of snoring and sleep apnoea. If your airway narrows, the air you breathe is pulled through it faster. This causes the soft tissue in the airway to dehydrate and vibrate. The sound this makes is what you hear as snoring. For some people, the airway becomes so narrow that the walls of the airway stick together and close up. This usually happens for around 10-30 seconds at a time, but can occur for longer. This is known as an apnoea. 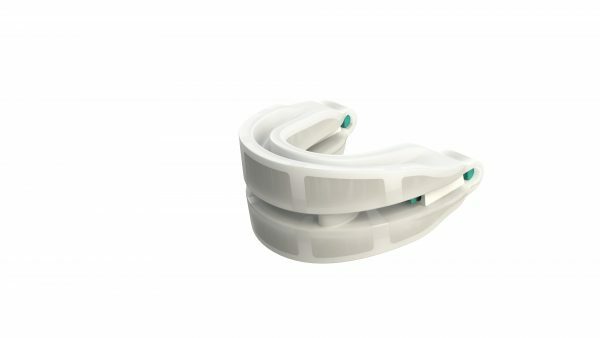 The Snoreeze Oral Device treats snoring and mild-to-moderate sleep apnoea by holding your jaw forward during sleep. This helps to keep your airway open, stopping it from collapsing during the night and helping you to breathe easily. Oral devices are a recommended treatment by the NHS for loud snoring and sleep apnoea. If you are worried that you may be suffering from sleep apnoea, we recommend that you visit your doctor. We always recommend consulting your dentist if you have had 4 or more adult teeth removed or have any dental concerns or issues about using this oral device. If you experience severe pain in your jaw, teeth, or gums that does not subside after discontinuing use of the Oral Device, we recommend that you visit your dentist or doctor. If any of the above apply to you, discontinue use of the Oral Device and seek advice from your dentist. 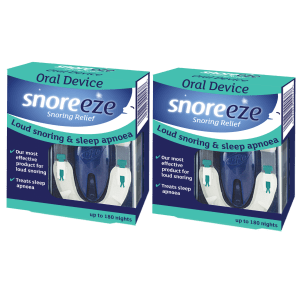 How does the Snoreeze Oral Device treat snoring? The Snoreeze Oral Device is BPA and Latex-free. The Snoreeze Oral Device treats sleep apnoea and targets the main cause of snoring. Its adjustable design brings the lower jaw forward to create free space behind your tongue and ensure your airway stays open at night. This clears the obstructed upper airway, allowing air to flow through easily, providing effective relief from sleep apnoea and snoring. How do I mould the Snoreeze Oral Device? The Snoreeze Oral Device is a boil-and-bite mouthpiece that can be moulded at home in under 5 minutes. The Oral Device has been designed to be as user-friendly as possible, and the box contains a detailed instruction leaflet with pictures to illustrate each stage of the moulding process. 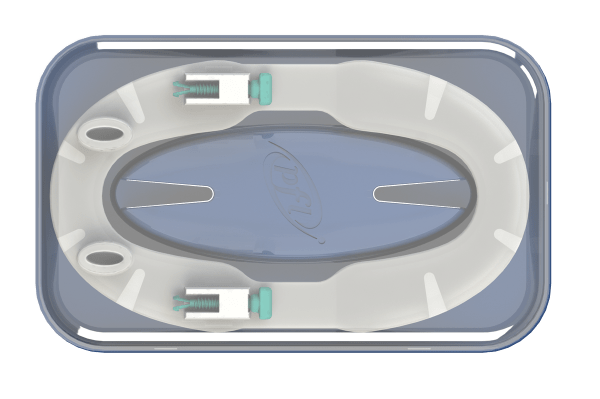 You can find a step-by-step instruction video showing you how to mould and fit your Snoreeze Oral Device perfectly to your mouth here. What if I mould the Snoreeze Oral Device incorrectly or it becomes loose over time? If you don’t mould your Snoreeze Oral Device correctly, or it becomes loose fitting over time, it’s possible to re-mould the device. There’s no maximum number of times the Snoreeze Oral Device can be re-moulded. However, as the device is made of plastic, it may start to lose its integrity after the 3rd or 4th time of moulding. This would be the time to consider purchasing a new one. How do I adjust the Snoreeze Oral Device? 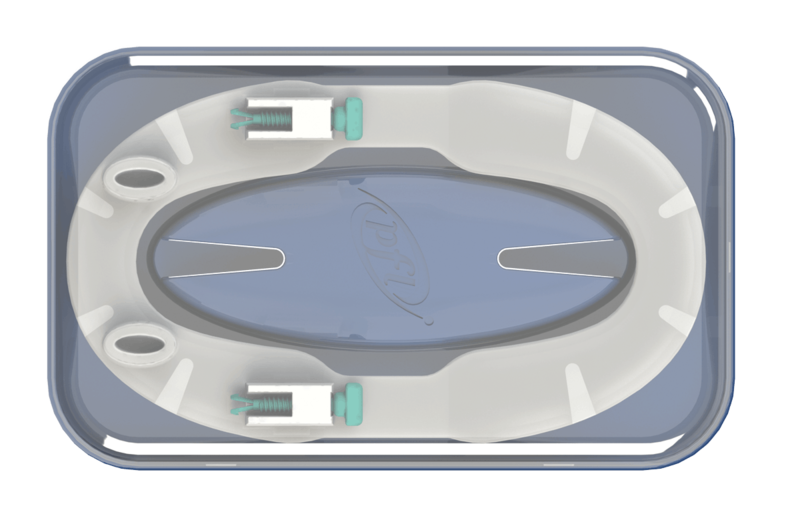 The Snoreeze Oral Device is adjusted by hand using the screws on each side of the bottom tray. You can find a step-by-step instruction video showing you how to adjust your Snoreeze Oral Device to the correct setting for you here. Can I use the Snoreeze Oral Device if I have asthma? We would advise against using the Snoreeze Oral Device if you suffer from a serious respiratory condition such as asthma or emphysema. Can I use the Snoreeze Oral Device if I have missing teeth/crowns/dentures? This depends on how many missing teeth you have, and which ones they are. A few missing molars at the back of your mouth should be okay, but if you have several front teeth missing you may have problems using the Oral Device. If you have crowns, we don’t recommend wearing an Oral Device without first consulting your dentist. This is especially true if you have crowns on your front teeth, as these are the teeth that have the most pressure placed on them. For those who wear dentures, the Snoreeze Oral Device can be used if your dentures are kept in the mouth while sleeping. The Oral Device cannot be used if you have full dentures and these are removed while sleeping. If you wear partial dentures and they are removed at night, then you would need the majority of your front teeth and several of your rear teeth to be able to use the Snoreeze Oral Device. Please consult your dentist or orthodontist if you are unsure about whether the Snoreeze Oral Device is suitable for you. Can I use the Snoreeze Oral Device instead of my CPAP machine? Mouthpieces like the Snoreeze Oral Device have been shown to be an effective treatment for mild to moderate sleep apnoea. If you have been prescribed CPAP treatment by your doctor, we don’t advise stopping treatment without first discussing things with them. 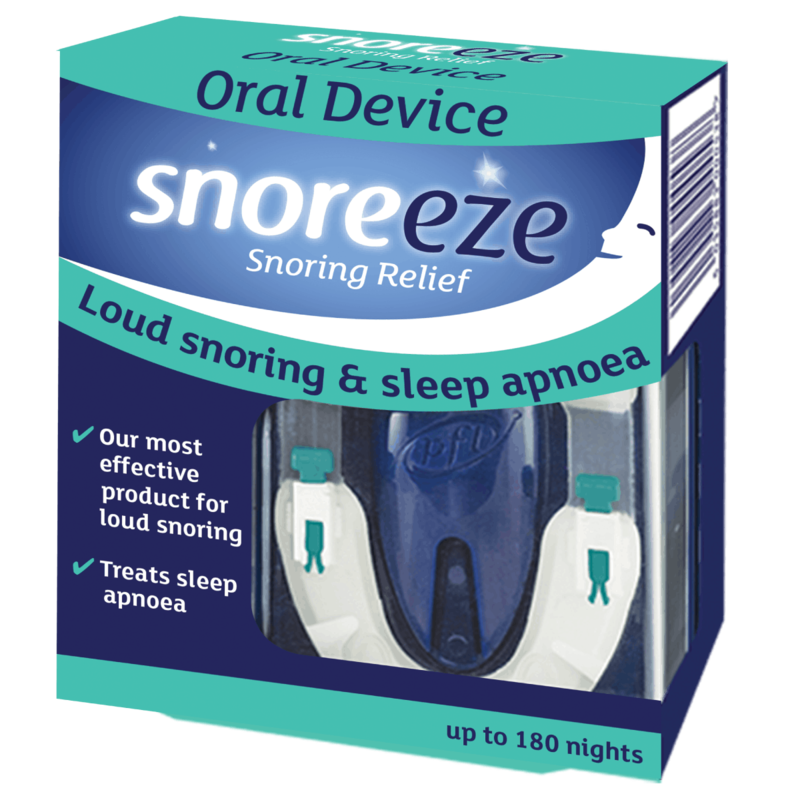 If you feel you have sleep apnoea, you should speak to a doctor and ask if they think the Snoreeze Oral Device would be suitable for you. 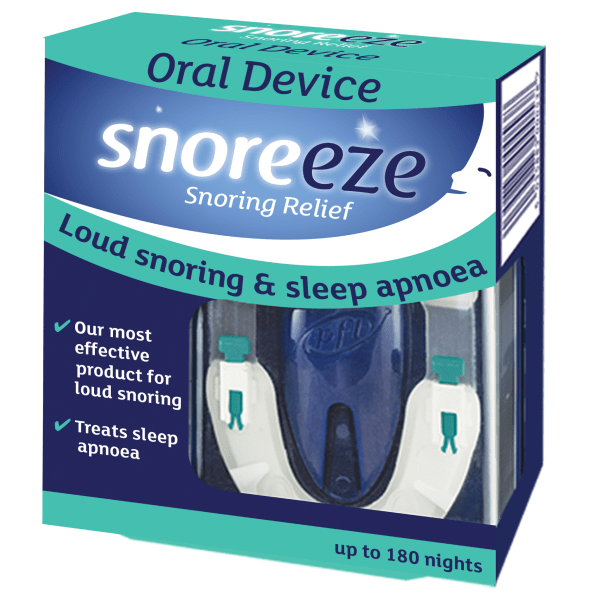 What if the Snoreeze Oral Device does not relieve my obstructive sleep apnoea on the first night? Many people find that wearing their Oral Device so that their jaw is in its natural position (as you do on the first few nights you use it) is enough to provide relief from sleep apnoea. However, the fitting of the Snoreeze Oral Device is different for everyone. 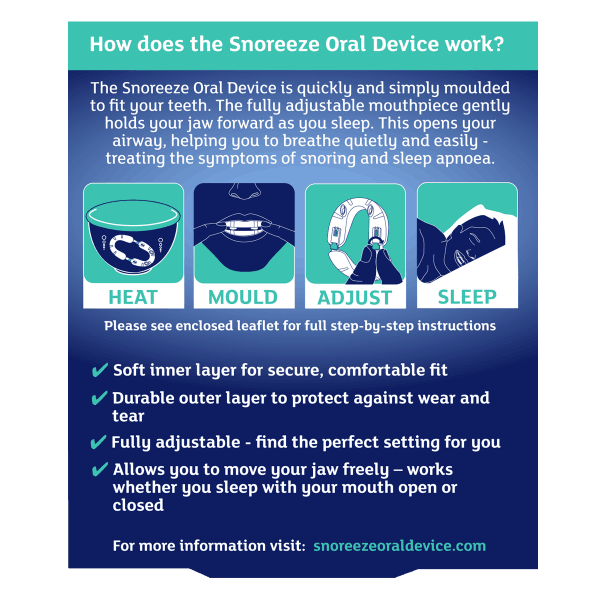 If after using your Snoreeze Oral Device for 2-3 nights you continue to suffer with sleep apnoea, you should adjust the screws on the Oral Device. These screws are used to adjust the Oral Device equally on both sides, aiming to position the lower jaw in a slightly forward position. You can find a step-by-step instruction video showing you how to adjust your Snoreeze Oral Device to the perfect setting for you here. If your symptoms persist after adjusting the Snoreeze Oral Device gradually to the furthest setting, we would recommend that you visit your doctor. It may be that your problem is severe and requires an alternative treatment. What if the Snoreeze Oral Device doesn’t work for me? Occasionally, people experience some discomfort when they first use a mandibular advancement device like the Snoreeze Oral Device. We recommend that you persevere with using the Oral Device for at least a week before deciding to return it, as it sometimes takes this long for your jaw to become accustomed to using the device. If you are wondering whether the side effects you are experiencing are normal, please refer to the product instruction leaflet or contact us. If you purchased your Snoreeze Oral Device less than 30 days ago and have used it for 7 nights, but are still not entirely satisfied, we will happily refund your purchase. To receive your refund, simply download the returns form and send it to us (along with your Snoreeze Oral Device and proof of purchase) to the following address: Passion For Life Healthcare (UK) Ltd, Pioneer House, Pioneer Business Park, North Road, Ellesmere Port, CH65 1AD. Click here to download your returns form. “This is the best mouthpiece I’ve tried – and I even bought a custom-fitted mandibular device which isn’t as good as this. The design of this mouthpiece keeps it in place even if you open your mouth. Once it’s heated for moulding, the plastic is almost liquid, therefore the mould fits really well. You can also re-mould it if required. The best thing about this adjustable mouthpiece is that you can count the turns you put on the screws; this helps you keep track of what works, or if more turns are required.